In the final installment of this year's Trade Value player rankings, Jonah Keri picks his top 20 most valuable players, including some of baseball's best young stars. Welcome to Part 3 of the 2016 Trade Value player rankings! A quick refresher on what I'm doing here: Looking at a number of factors (age, performance, contract status, etc.) and using statistical analysis, I've ranked the top 50 players in baseball for this season by their trade value—essentially trying to answer the question of "If every team made every player available via trade, which guys would fetch the greatest return?" In Part 1, I laid out the ground rules and listed the players who had fallen off last year's rankings, this year's honorable mentions and Nos. 50–40 on the 2016 edition. In Part 2, we counted down Nos. 39–21. Today in Part 3, we rank the final 20—the best of baseball's best. For a full breakdown of the Trade Value's history and rules, check out the intro in Part 1. Let's get on with the rankings! • Gray and Cole will each earn the league minimum (or close to it) in 2016 and are each arbitration eligible from '17 through '19. • Kluber is signed through 2019 for $35.5 million with a '20 club option for $13.5 million (or a $1 million buyout) and a '21 club option for $14 million (or a $1 million buyout), and the value of the options could jump to $4 million each based on Cy Young voting. • Syndergaard will make the league minimum for the next two seasons and is arbitration eligible from 2018 through '21 (assuming he meets “Super 2” status). We can scrutinize each of these four pitching stars and find specific quirks. Gray takes advantage of his home ballpark better than any of the four, suppressing hit rates thanks in part to MLB’s most spacious foul territory at the Coliseum. That makes him a slight performance risk if the A’s were to trade him to a team with a more hitter-friendly park. Cole slashed his walk and home-run rates last season, showing the biggest improvement of the four from 2014 to '15, but he’s also a Scott Boras client, so re-signing him before he can reach free agency will be a tall order. Kluber has the best fielding-independent numbers of the foursome over the past two seasons and that long and highly favorable contract, but he also turns 30 in April. Syndergaard is just 23 years old, throws 100-mph heat, complements it with a hammer-of-Thor curveball that limited opponents to a .180 average last season ... and, well, he really doesn’t have any obvious weaknesses, so he could grow into the best pitcher in that outrageously great Mets rotation. In his dazzling rookie season, Lindor staked his claim as arguably the second-best defensive shortstop in the game (behind only Andrelton Simmons). A wizard in the field throughout his minor-league career, Lindor showed off so much exceptional range, such soft hands and such a strong throwing arm that he had a viable case for a Gold Glove award despite playing just 99 games. But what if he’s an All-Star-caliber hitter too? That’s what Lindor was in 2015: He batted a cool .313/.353/.482, showed surprising power with 12 homers and 22 doubles in 390 at-bats and swiped 12 bases in 14 tries for good measure. Those offensive numbers bear watching: Nearly 35% of the balls Lindor hit into play fell for hits—an unusually high figure given that he ranked nowhere near the league leaders in line-drive rate or hard-hit rate. Then there's Lindor’s minor-league track record, which pointed to a competent but hardly dominant offensive player. Then again, top players sometimes make a big jump as they mature (Lindor is just 22), and his speed could help his bat play above what scouts projected for him (16 infield hits last season helped a lot). Six years of diving stops and rocket throws would be enough to earn Lindor a lofty place in our rankings regardless. If he keeps hitting the way he did in 2015, though, he’s got a good case for a spot in the top 10. The only player in the top 50 who has already reached his 30th birthday, Donaldson being at the absolute height of his powers outweighs his date of birth. Gift-wrapped to the Jays last off-season for a stick of gum and a badly worn 1984 Doug Flynn O-Pee-Chee card, Donaldson annihilated the American League, blasting 41 homers, playing his usual excellent defense and bagging his first MVP award. Thanks to his late bloomer career path, Donaldson can’t test the open market for another three years. Following an electrifying summer in baseball-mad Toronto, that’s a fantastic feeling for Jays fans. An all-around terror on an otherwise underachieving Red Sox team, Betts batted .291/.341/.479, whacked 18 homers, stole 21 bases and impressed with the glove in his first go-round as an everyday centerfielder in the big leagues. We haven’t even seen Betts’ full array of skills yet, given the .400-plus on-base percentages he posted in the minors. Remember Jacoby Ellsbury’s off-the charts 2011 campaign for Boston—the one that placed him second in MVP voting and set the stage for the Yankees to overpay him for seven years of misery? That might be Betts’s upside, only without the turning-into-a-pumpkin part. The gift that keeps on giving, Bumgarner’s impossibly team-friendly contract yielded huge dividends yet again for the Giants in 2015. For the microscopically low price of $6.75 million, Bumgarner delivered career bests in (regular-season) innings pitched, strikeout rate and walk rate, obliterating any concerns of a hangover following the 270 innings he piled up between the regular season and playoffs during the Giants’ run to the World Series a year earlier. Counting the two club options the Giants will surely pick up (barring the sun exploding or AT&T Park getting hit by a meteor), Bumgarner will earn $45.25 million over the next four years. With the power of #EvenYear voodoo behind him, Bumgarner could have five rings before his deal finally runs out. Though Bumgarner probably eats around Sale’s weight for breakfast, the two aces could otherwise be mistaken for doppelgängers. They’re both the undisputed lefty aces of their staffs; they're both elite pitchers who don’t yet have Cy Young hardware but could get there soon; they're separated by just four months in age; and they're both signed through 2019 to contracts that enable their employers to spend money on other needs, knowing they have franchise players locked up for a fraction of what they’d go for as free agents. Sale gets the slight nod because of his video game-like strikeout numbers, but this is more or less a tie. Enjoy watching the South Side’s 6'6", 180-pound outlier obliterate AL hitters for as long as this lasts; we might not see another pitcher quite like him for a long time. Another pitcher whose contract looked like a team-friendly steal from the minute he signed it, Archer’s big breakout last season makes the numbers on that deal look like typos. The owner of one of the league's most lethal sliders, Archer’s 252 strikeouts ranked second in the AL, and his home-run rate was the 10th-lowest among qualified Junior Circuit starters. Archer becoming the charismatic face of the franchise (and even a skilled color commentator during playoff games) provides star power for a revenue-strapped franchise that badly needs it, too. The cost for all that good stuff? A mere $2.75 million this season and just $42 million over the next six once the Rays (or whoever Archer's future employer is) inevitably pick up the two attractive club options in 2020 and '21. He’s got three years left on one of the most team-friendly contracts the game has seen in years, but we’re already hearing buzz about a possible mega-extension; people were writing columns about it a year ago. Hammering out a solution might not be that simple, though. For one thing, Pittsburgh perpetually ranks near the bottom of the league in payroll, so finding the money to make a deal work could be challenging. For another, it’s not clear why there should be any urgency here. 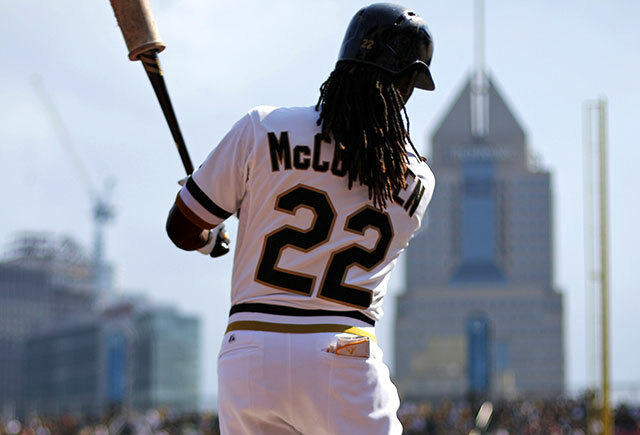 Yes, McCutchen is one of the greatest players in franchise history; he's a terrific ambassador for both the city and the game and the kind of player for whom you’d one day like to build a statue outside the ballpark. But the Pirates are also exactly the kind of team that shouldn’t be messing with the attractive three-year, $41.5 million agreement they have with McCutchen through their club option year of 2018. Moreover, he will be 32 when this contract expires. Sentiment aside, should the Pirates even want to throw a giant pile of money at McCutchen for the decline phase of his career? After ending both 2013 and '14 with knee injuries, Machado showed what he can do with a full, healthy season. Playing all 162 games, he batted .286/.359/.502, cranked 35 homers and played his usual fantastic defense, cementing him as one of baseball's best all-around third basemen. He’s just 23 years old, and players who are this good this young often go on to become perennial All-Stars—or better. Baltimore’s problem is that those days on the disabled list still count toward service time, and Machado has just three years to go until free agency. Still, three years of a player who looks a little like a combination of Brooks Robinson and Eddie Murray is still pretty damn valuable. It might seem bold to rank a player this high when his entire major league track record consists of just 27 games played. But the most valuable commodities in baseball are players who display exceptional skills at an early age and burn as little service time as possible. While Seager might only have those 27 games in the majors, we’ve got a pretty good stack of evidence to suggest that he’s going to be a star. In 390 minor-league games, he batted a robust .307/.368/.523. Much of that damage came while playing in hitter-friendly ballparks, but Seager also racked up most of those numbers before turning 21. To that, you can add his eye-opening .337/.425/.561 major league debut, as well as the fact that he plays shortstop at a time when nobody hits remotely that well at the position anymore. Seager is still just 21 and offers six years of team control; 29 rival teams are hiring hypnotists to go infiltrate Dodgers president Andrew Friedman’s office as you read this. Third base has become a wonderland of prime talent over the past few years, so much so that trying to rank the best of the bunch becomes a nearly impossible task. 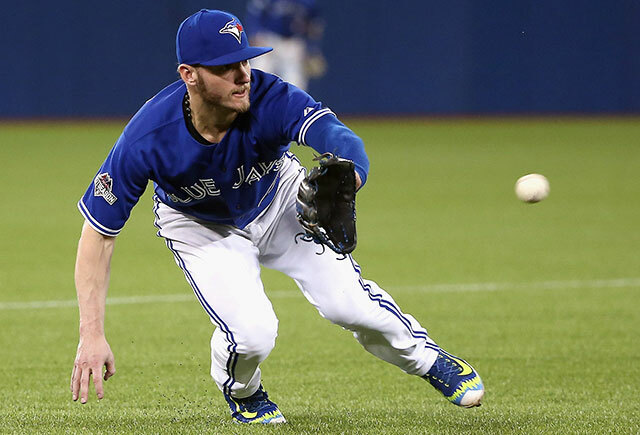 Donaldson just won the MVP, so you could argue that he’s the best right now. Kris Bryant just won the Rookie of the Year award, so you could argue that he has the brightest future—except that Bryant is actually six months older than Machado, who’s already clocked nearly 2,000 plate appearances in the big leagues. Then there’s Arenado. Over five years younger than Donaldson and offering one more year of team control than Machado, the Rockies' hot-corner man put up Paste from "Bases Loaded" power numbers last season and made a number of ludicrous plays at third. As with any Rockies hitter, there’s some skepticism over how much Coors Field impacts his stats, and as anyone who scrutinizes that ballpark will tell you, Coors tends to have a greater impact on singles, doubles, and triples than it does on homers. Arenado is a prime example of that trend: He clubbed 20 homers at home and 22 on the road in 2015. Unfortunately, he also batted .316 at home versus just .258 away from Coors. Let’s not nitpick too much, though. If you hit bombs and make Gold Glove plays like Mike Schmidt in his prime, and if you’re 24 years old, then you’re a bona fide superstar. How many fan bases in pro sports are feeling better about life right now than Cubs fans? Rizzo and Bryant, who anchor the best infield in baseball, combined for 57 homers and 134 extra-base hits last season, and that was in Bryant’s first brush with the big leagues. The Cubs’ service-time shell game enables the team to keep Bryant through 2021, matching the long-term deal it gave Rizzo, who won’t even make more than $7 million a year until '19. Bryant will be 29 when he can test the open market, and Rizzo will be 32, so the Cubs should get most of both players’ prime years. In his final full minor-league season, Bryant batted an absurd .325/.438/.661. If he starts playing on that level in the majors, just imagine how fun afternoons at Wrigley Field will become. The most anonymous star in the game, Goldschmidt never got much respect in the draft (he was an eighth-round pick) or in the minors (he never cracked a major top-100 prospects list). After some early success in the majors, the Diamondbacks gave him a contract that similarly undervalued his potential, so they’re now grateful to have one of the best hitters on the planet locked up for the final three years of a five-year, $32 million deal (plus a club option for 2019). And despite his consistently huge major league numbers netting him three All-Star Games, two Silver Slugger awards, two Gold Gloves and two MVP runner-up finishes, MLB hasn’t exactly built a bunch of multi-million-dollar ad campaigns around Goldschmidt. If Arizona general manager Dave Stewart has his way, that could change soon, as the D-Backs hope to ride a pair of gigantic off-season moves for Zack Greinke and Shelby Miller into playoff glory. But whether or not Greinke justifies the 700 Learjets he’s getting paid, and whether or not the Snakes grow to regret giving up a king’s ransom for Miller, one thing probably won’t change: Goldschmidt will still crank out .300/.400/.500 seasons, year after year after year. Whoa! A 23-year-old outfielder does a spot-on impression of Stan Musial in his prime, and he can’t even crack the top-two? That’s where Harper finds himself after a season in which he was the undisputed best player in baseball, leading the league in homers, on-base percentage, slugging and any iteration of park-adjusted offense you can possibly imagine. Why? Because if Boras urges his run-of-the-mill clients to test free agency rather than accepting an extension from their existing team, imagine the sirens that would go off in his office if anyone from the Nationals so much as sent him a funny cat video. Harper will get to test the market right as he hits his 26th birthday, and he’s got a good chance to land the richest contract in sports history when he does. Three years of Harper are going to be an amazing thrill ride for Nats fans, and one of those might even bring D.C. its first World Series win in nearly a century. That’s still not enough to trump two-to-three years of additional control for the next two guys. Remember when (some) experts clucked their tongues at the Astros for taking Correa with the first pick in the 2012 draft, arguing that the move was designed to save the team money rather than just going for the best player available? The Astros did, in fact, save money, but 3 1/2 years later, it’s clear they got the best player available, too. Correa took the AL by storm in his rookie campaign, blasting 22 homers in 99 games, playing sound defense at his extremely demanding position and looking like he could suit up for the Texans in his spare time. The Astros going from a third straight 100-loss season to the playoffs in just two years is one of the best stories in baseball. Correa’s potential to become an every-season MVP candidate gives the team a great chance to ensure that success keeps going for years to come. Four years of this column, four years with Trout on top. A terror from his first full major league season at age 20, Trout’s skill set has evolved even as his productivity has stayed sky-high. We’ll probably never again see anything close to 49 steals in a season from him (though he’s still an asset on the base paths), and he doesn’t make quite as many spectacular catches as he once did (though he’s still a plus defender who will occasionally make you weep with joy). What Trout mostly is now is a straight-up masher, a player whose power numbers keep escalating to the point where future 50-homer seasons can’t be ruled out. Trout has got an argument for four straight MVP awards, he’s somehow still just 24 years old, and the Angels have him locked up for five more years. Now get him some damn help already, so we can watch the best player on the planet lay waste to the World Series, too.